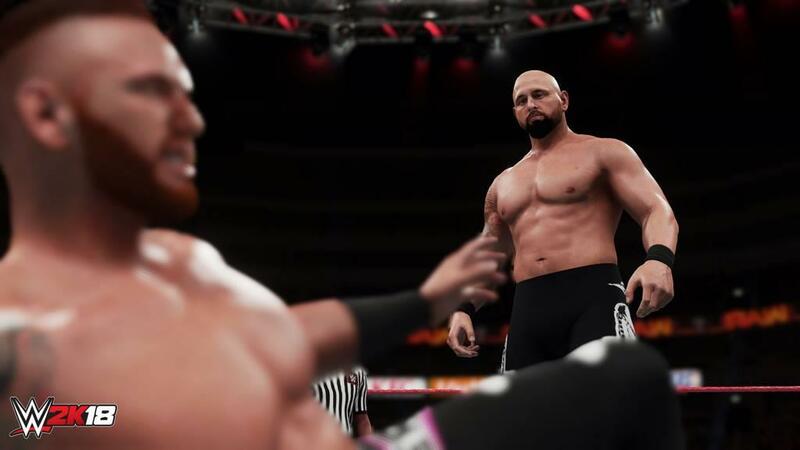 WWE 2K18 continues the long-standing WWE games tradition of taking one step forward then two steps back. While 2K18 is a big improvement over WWE 2K17, those familiar bugs, glitches and silly restrictions still rear their ugly head. This year's big addition is, of course, the huge graphical overhaul and a new lighting system that can be seen in all parts of the game. From character models, arenas, belts and clothing, almost everything looks great. Wrestlers like John Cena, Randy Orton, Roman Reigns and this year's cover star, Seth Rollins, have never looked better. 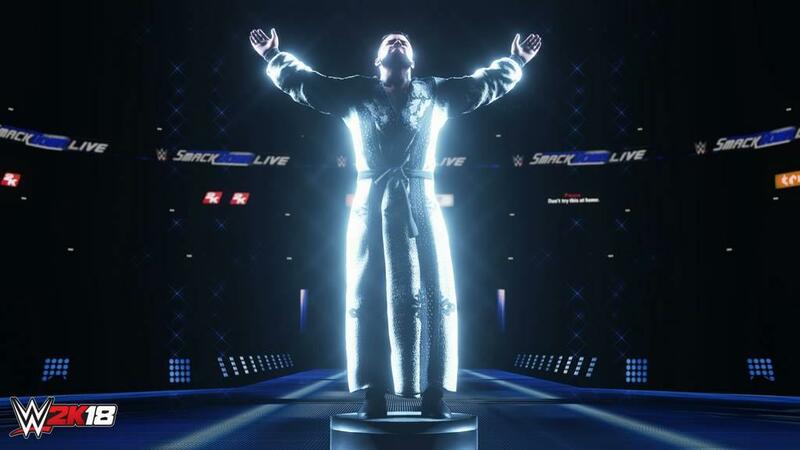 The new lighting system and camera angles make entrances and arenas look just as good as they do on WWE television. 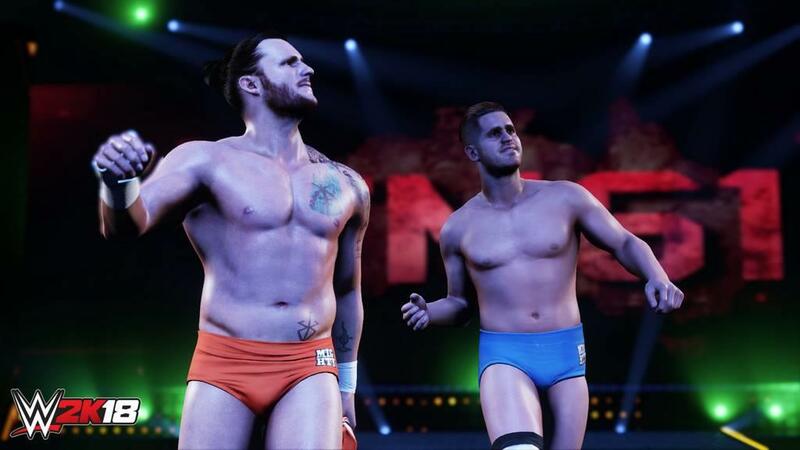 But then we run into the same problem that WWE 2K15 had when it was first released. It's clear that not all of the superstars in the game were scanned, which is understandable since this year's has the largest roster ever at almost 200 Wrestlers. 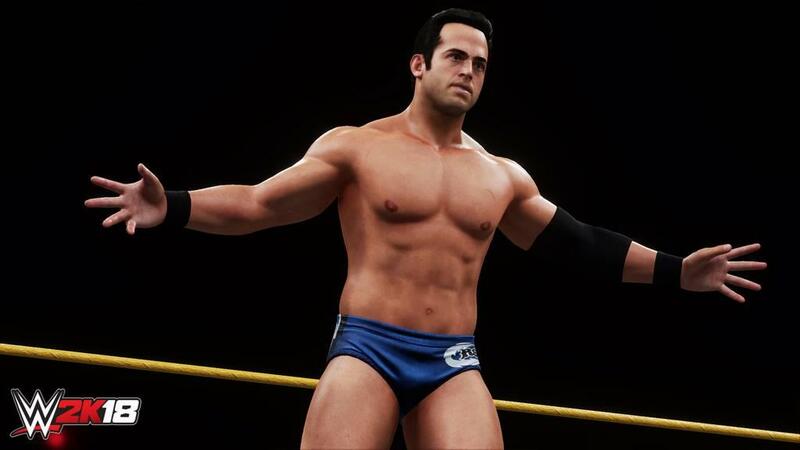 Because of this, most of the Legends in the game don't look as good as the normal roster and others, like Billy Kay, look absolutely horrific. In terms of gameplay, this year features the new carry system, which is a lot like the ultimate control moves that were part of the series back in Smackdown vs. Raw 2007. With this new system you can lift an opponent in one of four different positions by holding R1 and moving the right thumbstick in one of four directions. The carry moves include the cradle, fireman's carry position, powerbomb and powerslam position. From here you can then walk around with your opponent in that position and then press the square button to slam your opponent. You can also use these moves to perform special environmental attacks. For instance, in the powerbomb position, you can walk towards the ropes and throw your opponent out of the ring. Or if the steel steps are in the ring, you can powerbomb them on top of of the steps. Other environmental attacks include the ring ropes, the turnbuckles, the ringside barrier, the announce table, or through tables that are set up in the ring. When you are the one in this position, you can try to free yourself by mashing the circle button. This system is a fantastic addition and creates some awesome moments in matches. You can also use this feature to set up finishers. Throwing someone out of the ring via a powerbomb and through a table on the outside is so satisfying. 2K has also added a lot of new selling animations into the game and they are great. Instead of wrestlers just lying flat on the ground selling like death, wrestlers will now be in visible pain throughout the match and will do new things such as rolling towards the bottom rope to try to help themselves up. Or in multi-man matches, one might crawl over to the bottom turnbuckle and lay in the corner trying to catch their breath. These little additions are fantastic and make you feel like you are watching an actual WWE program. 2K18 also sees the long awaited return of the 8-man match types and the match creator. Up to eight Superstars can now be in the ring at one time and new 8-man tags, battle royals and ladder matches have been added to the game. While these new match types are fun, unfortunately these matches do suffer from frame rate drops and slow down issues. The other big addition in terms of match types in the return of the Match Creator ffeature. The match creator feature allows you to modify match types in the game with special rules and then save them as new match types. From within this menu you get options such as being able to make matches pin falls or submissions only, 2 out of 3 falls, last man standing, first blood, over the top rope and more. You can also add additional rules into the match such as making a match an elimination match, meaning we can now have 4 on 4 Tag Team elimination matches which is the closest we have gotten to a true Survivor Series match. You can also get creative and create some wacky stuff like a four man, 60 minute Iron Man match where you can only score points by hitting a finisher. The one variation that I love is the ability to do an Iron Man Tables match where you will score points every time you put someone through a table. 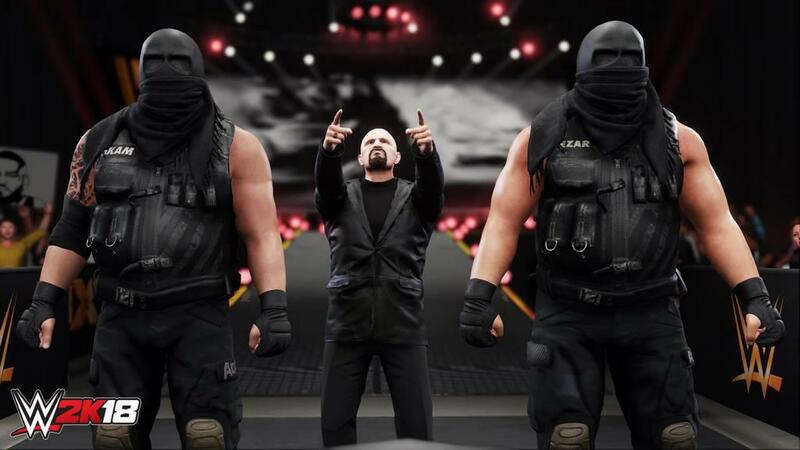 That is something I have wanted in a wrestling game for years. In terms of match types, 2K completely overhauled two matches in the game—and they were long overdue. The first is the all new Royal Rumble match. The Royal Rumble is my favorite match of all time. Ever since I started playing WWE games nearly 20 years ago, I have long since longed for a game to come along which provides a realistic Royal Rumble experience. WWE 2K18 comes so, so close. The first addition is that the match new features all new animations and mini games. Now when you drag an opponent near the ropes, you will get a button-mashing mini game that is just like the alternate submission system where you have to match the button that is on the screen. The new animations are fantastic and actually look like the wrestlers are in a fierce battle royal where they are desperate to hang on and not hit the floor. The match also features the rollout system that was introduced in 2K17. At parts during the match, you will see wrestlers roll under the bottom rope or sit in a corner while they rest up. Finally, with the number of wrestlers in the ring being upped from six to eight, the match feels like a real Royal Rumble match, with Superstars constantly rushing the ring at scheduled intervals. Speaking of intervals, one of the new options in the match creator is "entrance interval" where we can finally decide how long it takes before entrants come into the Rumble match. The downside is that it is extremely easy to be eliminated. I can understand being easily tossed out by big guys like Brock Lesnar or John Cena, but TJP should not be able to instantly clothesline Braun Strowman out of the ring with a simple clothesline. Coming in at #1 and winning the match is damn near impossible with how easy it is to be tossed out. Then we get to something that I have been waiting years for. Finally, after 15 years the Elimination Chamber match is brand new. The biggest addition to the match is that we now have entrances in the match and they look phenomenal. Wrestlers will make their normal entrance on the stage, but then when they get to the Chamber, you will actually see them walking into the structure and into their pods. Not only that, but the match itself has gotten some upgrades allowing you to perform moves like slamming your opponents into the chain link walls or the pods themselves. Finally, the addition of the Entrance Interval option lets us choose how long it takes for a Superstar to enter the match. Its a small change, but it has big effects on the match. In previous years, entrants would always come in at one minute intervals. So after only four minutes, all six Superstars would be in the Chamber and the match would be total chaos. Now that entrants come in at longer intervals, it allows for the match to feel like an actual Chamber match where the action is spread out across the entire match instead of happening all at once. Of course if you prefer the chaos of guys coming in quickly, you can do that as well by changing the interval time to 60 or even 30 seconds. The big problem with 2K's iterations of the WWE franchise is that the game is severely lacking in single-player options. Since Showcase mode has been absent for two years, we are left with My Career and WWE Universe mode. 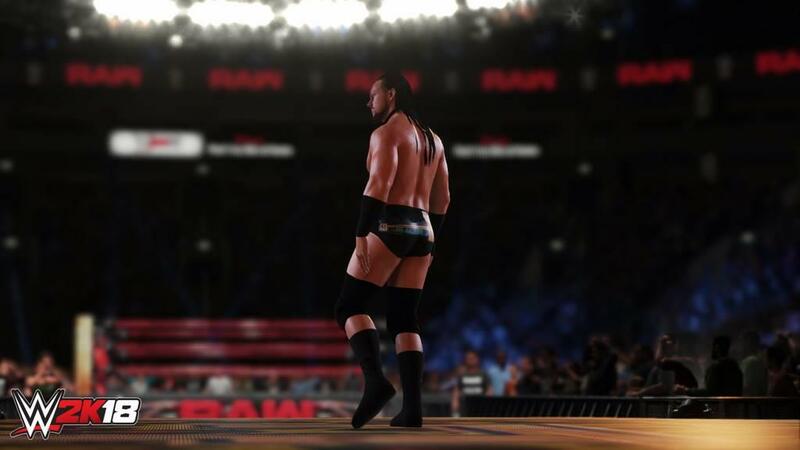 WWE Universe mode does see a couple of upgrades, including a revamping of the rivalry system. Now the game will start to book "potential rivalries." When a rivalry is growing, you will see a meter start to go up next to the wrestlers who are involved. When the meter is full, the rivalry will begin, or will remain in "standby" mode until a free rivalry slot becomes available. It's a great way to ensure that there is always something going on on your shows. You, of course, still have the option to start rivalries on your own. The other big addition is the new ranking system, the "power rankings." 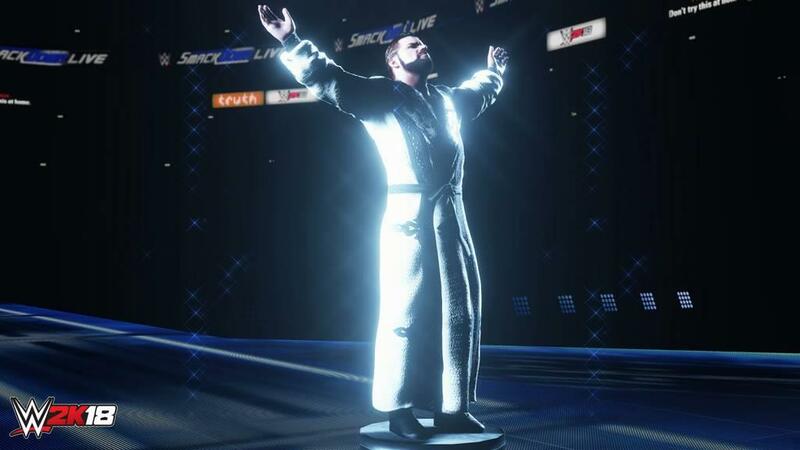 Each Superstar in the game is ranked based on their performances each week, and when a Superstar gets higher in the rankings, they will receive stat boosts for their achievements. Each Superstar also has a variety of goals to accomplish which gives them a boost on the rankings as well. These goals can be anything from winning matches, winning or retaining championships, forming tag-teams or going solo, winning the Royal Rumble, taking out a rival and more. It's a great way to feel like your wins and losses mean something. The downside to WWE Universe is that pretty much everything about the mode remains untouched. Then we get to My Career, which is absolutely awful. This year My Career has gotten a complete overhaul. Gone are all the menus and doing nothing, this year's My Career mode is story-based. You start out in NXT and work your way up to the top of the WWE. This is just my opinion, but My Career needs to go. This is four years in a row now where this mode completely fails to capture the feeling of living out you dreams of being a WWE Superstar. You have more freedom of how you want to play though My Career as you will be presented with difference choices. You can choose two separate paths. The "Company Man" path, which means playing as a "Heel," and the "Fan Favorite" path which means playing as the "Babyface." You will walk around backstage before each match and talk to different Superstars, but none of it feels like it matters. Superstars are given a random set of canned phrases that don't match their on screen personas at all. Even worse is that week after week you are given a boring set of objectives to complete to advance the story. But everything comes to a screeching halt, thanks to the atrocious new loot box system. Yes, you read that correctly. Loot boxes in a WWE game. The tag line of this years game is "Be Like No One." Well, that couldn't be more true, because we can't be anyone thanks to this ridiculous unlock system for My Career. You start out with a ridiculously small selection of hair styles, facial hair, and clothing, forcing you to make the most generic wrestler possible. Want to give your wrestler some new clothing? You need to gamble for them by purchasing loot boxes. Loot boxes have a chance of unlocking attire parts, new wrestling moves, and taunts or even boosts. The main problem with this is that you need VC (virtual currency) to buy said loot boxes and the amount of VC you earn per match is absolutely pitiful. Put on a five-star match and lose? Well, you will probably only get about 78 to 100 VC for it. If you win the match, you will probably get 200 to 500 VC, and that's only if you put on a five-star match. Most of your matches will be between three and four stars and, with a win, you will probably only earn 100 to 200 VC. Loot boxes cost thousands of VC, it takes thousands of VC to upgrade the stats of your My Career player—and most of the other unlocks in the game are 1,000 to 5,000 VC per unlock. Even worse is that none of the unlocks carry over between My Career save files. You can have up to three separate characters for My Career. Finish the Fan Favorite path and want to play My Career again going down the Company Man path? Get ready to grind, because everything is locked again. This is completely unacceptable and makes me never want to even bother with this mode again. The new Road To Glory mode. In Road To Glory you face off against other My Player's online in special match types which change daily. While playing these matches, your earned stars allow you to qualify for special events. You also earn XP which ranks up your My Player and you can even earn free Loot Boxes through this mode as well. I have been spending most of my time in the Road to Glory mode because there is no downside to losing. It's a mode where you simply go in, face off against other players, earn stars and rank up. It's simple and it's a lot of fun. Last but not least, the creation suite once more is where this game really shines. From Superstars, belts, arenas, matches, entrances and more, this game gives you unprecedented freedom to create the wrestlers and federations of your dreams. This is where I spend most of my time in these games and I couldn't be more happy with what is offered in WWE 2K18. One cool addition is the ability to give your wrestlers clothing, tattoos, and even hair that glows in the dark and will glow under a black light for your entrances. Everyone can thank Naomi for that addition. 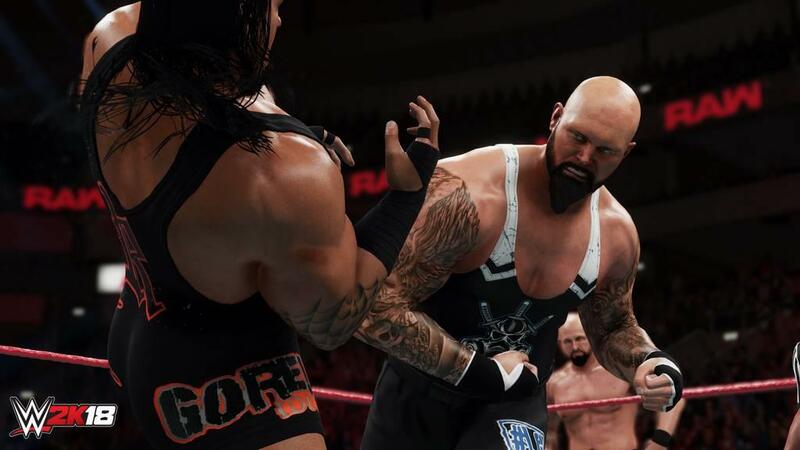 Overall, WWE 2K18 is another decent entry in the long-running games franchise, but as I said last year, it's sad that these games are just decent, because they can be and should be great. I understand that when you release a yearly game you have a very limited time to add a ton of new features. But it seems like we have been playing the same game for years at this point, complete with bugs, glitches and issues that almost never get ironed out. One step forward, two steps back again, for what seems like the tenth year in a row.